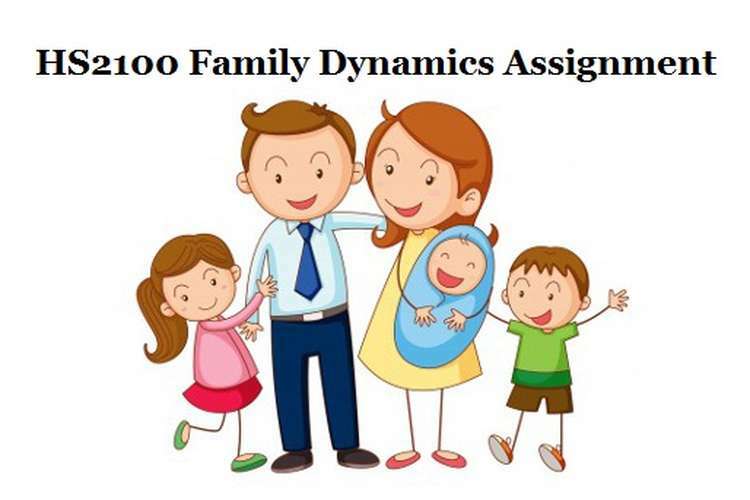 This HS2100 family dynamics assignment is aiming to identify and critically discuss the importance of family and family dynamics in health care system and health of an entire society. Families are the fundamental units of a society and it is considered that a healthy family give rise to a healthy and happy community. 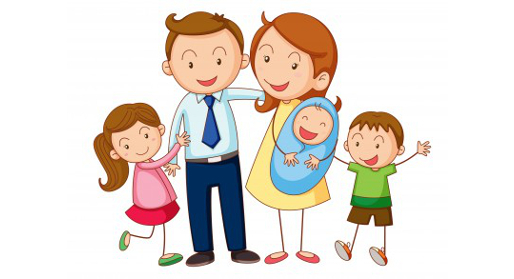 In this essay it would also be discussed that how a family can help in developing a health care system and which concept of family is primarily used in medical and surgical practices specially in nursing. Concept which will be used here is involvement of family or development of family centred care centres in nursing which is currently very popular in nursing practices. Families are very important part of life style of a individual and it determines a lot of aspects in life like culture of a person, their behaviour, their though process, general mental health and attitude towards life. It has been proved in many research studies that a healthy and happy family improvises attitude, quality of life and ability to resist minor diseases and disorders. According to Angood, ET al (2010) there is few critical components of patient safety identified like organizational culture of a hospital, involvement of families in treatment teams and listening to families while administrating a treatment protocol for a patient. According to author listening to families and patients and involving their inputs in nursing care is very important because they not increases the efficiency and effectiveness of a treatment plan but also increases patient compliance and patient’s satisfaction level with involvement in treatment phase. It is observed generally that patients used to feel neglected and alienated when it comes to treatment of a disease. A holistic treatment plan involves both medicinal and non-medicinal approaches and many academicians and experts believe that there is a scope of higher involvement of families and patient in non-medicinal part of the treatment. This approach has been successfully used in many nursing care systems especially in case of Paediatric and neonatal ICU. Family centred care centres enables nursing professionals to have a greater level of interaction with the parents of a child and develop a better understanding of their preferences and habits. This way treatment plan can be developed in a manner which will have a better compliance in young patients and they will have a better and speedy recovery. Involvement of families and patient starts with a full description of disease to them in simpler terms and make them understand what the expected prognosis is, areas of concern and precautions which is to be taken while administrating treatment. A well-educated and informed family with proper information about treatment would act as a boon for the nursing care and they can be the first line of vigilance who can inform the nursing staff immediately if something goes out of the line during treatment part. Families can also be involved in patient safety part of the treatment and they can ensure that patient remains safe and secure during treatment as well and help nursing staff to achieve their goals speedily (Botleho, et al. 2009). Family involvement can be observed in both acute as well as chronic care plans for a patient but it is safe to say that families have a higher role to play in chronic care of a patient. In many chronic disorders like diabetes, neurological disorders and mental diseases patient is discharged from the hospital after a period of time and their future treatment plan involves home health care and improvement in life style along with regular medications. Families can stage interventions in association with nurses as and when required if patient is not able to follow the instructions or fail to meet the required compliance level. Families can also ensure that patient is comfortable as well as focused towards improvising quality of life and develop into a healthier aspect of life style. It is very important that families and patients are listened seriously before diagnosis and treatment initiates and also they should be listened carefully for observations made about patient at home or at care centres. These inputs will also enable the nursing professionals to rectify and improvise treatment plans regularly and make it focused for the patient (Polit & Beck, 2008). If we closely observe then it can be stated that families work as a very effective fail safe net for patient and remains a dynamic and vibrant system of care and support. There is a limitation regarding involvement and presence of nursing staff around patient specially in chronic care and they cannot monitor behaviour and activities of a patient with same rigor and effectiveness all the time, in such situations family as a dynamic system of vigilance and support comes into picture and they ensure that health concerns and safety of patient is never compromised. There is a psychological aspect associated with patient as well when it comes to family involvement in treatment. A patient is most comfortable and feels secure around his family members while in settings of hospital and around health care professionals who are not known earlier a patient might be sceptical as well as apprehensive about his disease. There is an additional factor of trust based relationship; it would take a lot of time for a nursing professional to develop a trust based relationship with patient while a family member would already have that relationship with patient readily. This relationship can be used as a positive reinforcement for treatment and patient can feel secure and cared around family members (Fenwick, Barclay and Schmied, 2001). In conclusion it can be said that family as a system can help in developing a very strong and trust based relationship between patient and health care providers and they would also help in ensuring a better compliance and satisfaction level with treatment plans. The conclusion of this article is that, for the future, patient and family involvement starts with educating patients and families and ends with listening to them and taking them seriously. Patient and family input is emphatically built into systems of performance improvement, and patients and families are to be taken seriously and are respected for their valuable perspectives. Angood, P. Et al (2010) Patient and family involvement in contemporary health care. J Patient Saf. 2010 Mar;6(1):38-42. doi: 10.1097/PTS.0b013e3181d56ce6. Botleho, RJ, et al (2009) Family involvement in routine health care: a survey of patients' behaviors and preferences. (Reprint) J Fam Pract. 1996 Jun;42(6):572-6. (Polit D F Beck C T 2008 Nursing research: Generating and assessing evidence for nursing practice)Polit, D. F., & Beck, C. T. (2008) Nursing research: Generating and assessing evidence for nursing practice (8th ed.). Philadelphia, PA: Lippincott Williams & Willkins. In Australia, OZ Assignment Help is leading assignment writing service provider for students help in assignment writing, essay writing, dissertation writing, report help and homework help. Explore our expert services and order now your assignment.